Boston teeth whitening is the best step to maintain that beautiful smile of yours. Remember that people will remember you for days just because of your smile. And bear in mind that your smile can brighten even the cloudiest day. These are just some of the reasons why you need to maintain your teeth and keep it whiter. Nowadays, it is not as difficult anymore. Dentists now have more ways of whitening your teeth without the pain and the hassle. In addition, there are a lot of whitening products available. You can choose from among the selections that are presented to you. The best thing about them is they are not as expensive as they used to be. For $30, you can buy some teeth whitening kits so you can do it at home and by yourself. There was a time when teeth whitening was exclusive for those who can throw away big amount of money for aesthetics. Those who have other expenses to pay cannot afford going to the dentist. So the tendency is for them to just rely to toothpaste for their teeth to whiten. But then, several unavoidable factors can result to teeth discoloration. Some of these factors are even part of daily life and cannot be avoided. In some cases, those who can afford them the first time tend to not come back again. The reason is not only because of the expenses but also because they think that it will remain that way. Cheap teeth whitening products became the solution to the dilemma that people were facing. With or without prescription from the dentist, people can buy these products easily. Although there are some issues regarding the use of whitening products, it can be noted that more and more people are dependent on them today. Some have already seen the results of their regular rituals. While others are still to see what their patient procedure will produce. The steps needed in maintaining your teeth are basically simple. First and foremost, make sure that your teeth on a daily basis. It is best to use whitening toothpaste. After brushing, you can rinse your mouth with the mouthwash of your choice. After you have finished all these, you can now place the whitening strips over your teeth and leave it for the duration of time that is dictated in the label. Teeth whitening strips are not difficult to find and purchase. Drug stores and groceries have them. If you use them regularly, at least twice a day, and make it a part of your dental hygiene, you will see the difference in the color of your teeth in no time. Another teeth whitening product you can use is the whitening gel. This is known to whiten teeth a couple of shades lighter. The procedure is also simple. You can paint the gel into your teeth and let it remain there overnight. Do this at least twice a week and it will become an effective way of whitening your teeth. Today, you do not have to have the budget for it and shed some hard earned money. The next time you went grocery shopping, look for some whitening teeth products on display. Check out the labels and see if that product is the one for you. 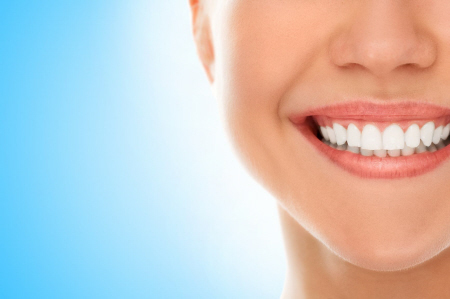 Make the most of what teeth whitening products in Boston. Use them to your advantage so that you can achieve a smile that no one will forget.